Officially incorporated into Oregon in 1913, West Linn, known for its hills, trees, rivers, and famous meteorite, is a sought-after community in which to raise families and made the 2005 top-100 list of best places to live. The largest iron meteorite discovered in the United States, weighing 15.5 tons, was unearthed in West Linn in 1902 and featured in the 1905 World’s Fair before journeying to New York’s American Museum of Natural History, where it remains. West Linn was carved onto the map years before, when Robert Moore purchased 1,000 acres of land in 1840 from the Wallamut Indians at Willamette Falls. Soon a lumber mill and flour mill were established, and the region was given a new name–Linn City–after free-state advocate Lewis F. Linn. Hugh Burns and the Miller, Fields, and Walling families also figured in early West Linn history. Though an 1861 fire, then flood, destroyed what was Linn City, the falls continued drawing industry. 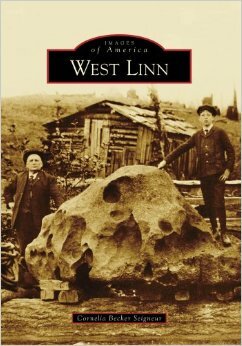 Officially incorporated into Oregon in 1913, West Linn, known for its hills, trees, rivers, and famous meteorite, is a sought-after community in which to raise families and made the 2005 top-100 list of best places to live.